Central America is a place of many natural paradises. Also, a place of much poverty. The economy is basically based on agriculture and tourism and there is a strong unevenness in the income distribution. The territory of Central America comprises the continental stretch that binds South America to North America and the Caribbean. 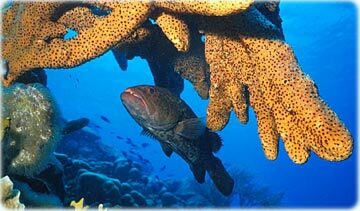 The Caribbean Sea is full of islands, reefs and atolls. Many are territories of France, United Kingdom and The Netherlands. Cuba is one of the last communist countries of the world, situated in a tropical archipelago of paradisiacal natural resources. Its economy is mainly based on sugar, tobacco and tourism. After the revolution in 1959, Cuba has received a substantial economic aid from the USSR. Now, the country strives for basic needs for its 11 million people. 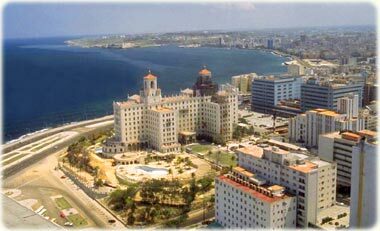 Cuba is composed by the main island and about four thousand islets. There are more than 300 beaches of white sands and clear waters, including Varadero, Holguín, Cayo Largo del Sur, Ciego de Ávila and Villa Clara. More: Map of Cuba. City of Havana, in the north coast of Cuba. Coastline of Santa Lucia, country in a small volcanic island, discovered by Columbus in 1502. A place with uncommon landscapes and beautiful beaches. 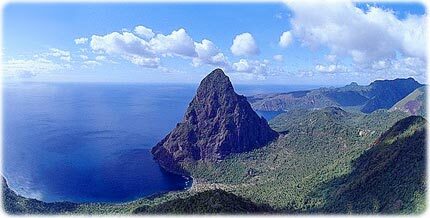 Saint Lucia gained independence from the United Kingdom in 1979. Terre-de-Haut island as seen from Le Chameau, Guadeloupe. 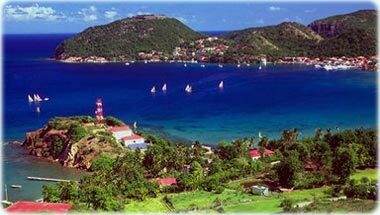 Guadeloupe is an archipelago of nine islands in the Caribbean Sea, with an area of 1,780 square km. It was discovered by Columbus in 1493, during his second voyage. Since 1635, it is a French possession. Guadeloupe has beaches with calm waters and interesting places for diving. Its 435,000 inhabitants lives mainly from the tourism and agriculture. An increasingly great number of cruise ships visit the islands every year. The main territory of Guadalupe consists of two islands: Basse-Terre and Grande-Terre, separated by a narrow channel. Basse-Terre has a mountain chain, culminating with the volcano La Soufrière, that entered in eruption for the last time in 1976. More: Map of Guadalupe. Central pyramid, the archaeological site of Altun Ha, in Belize. Before the arrival of Europeans, the Mayan people had lived for centuries in territories of Central America, including the current country of Belize, where the Mayan ruins of Altun Ha can be found. 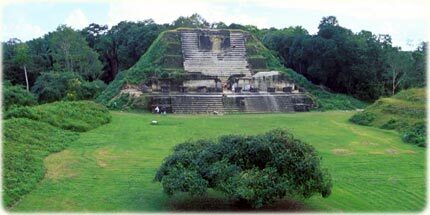 During the Classic Period of the Mayan civilization, Altun Ha was their main ceremonial center in that region. 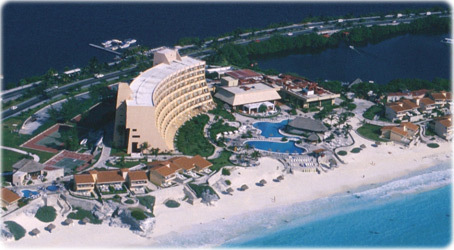 It also served as a commercial center and a linking to other Mayan centers in the Caribbean coast and the country. The ruins of Altun Ha consist of two main squares, about 13 temples and some residential structures. Archaeological evidences indicate that the Mayans had been established in Altun Ha from 200 B.C. until 14th century. More: Map of Belize. The crystal waters of the Caribbean Sea. The Caribbean Sea is enclosed by the Antilles, Central America and South America. It's a tropical region that includes 12 countries and 10 territories, famous for its transparent waters, ideal for diving and other aquatic sports.